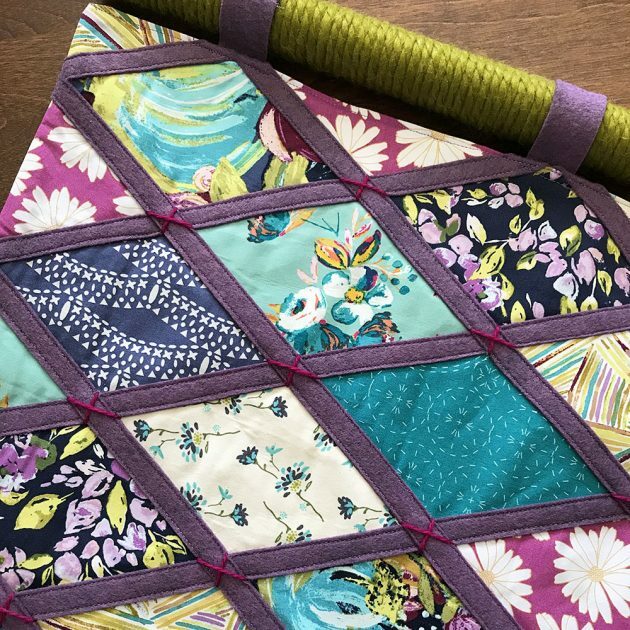 You might remember this project from last October, a fun patchwork wall hanging I made with Bari J’s Virtuosa fabric from Art Gallery Fabrics. At the time I promised a pattern and it’s finally ready! (This is not a complicated project, so don’t take my delay as any indication that it is, I was just busy with other things!) 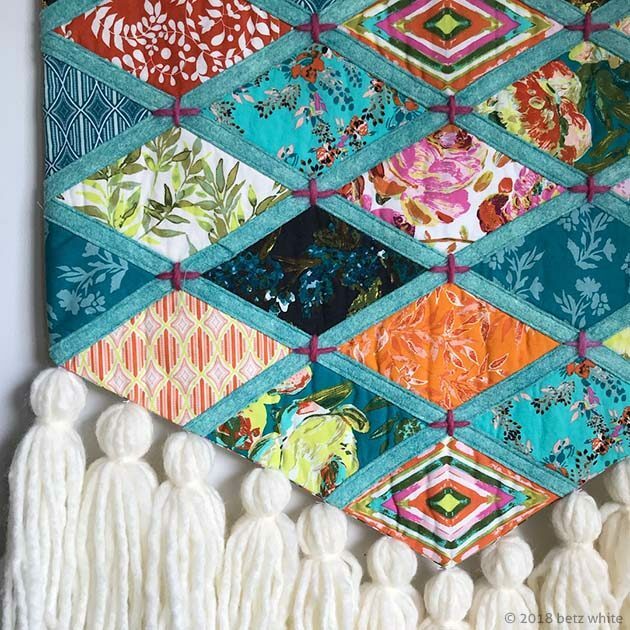 You can purchase the Boho Patchwork Wall Hanging pattern in my shop. 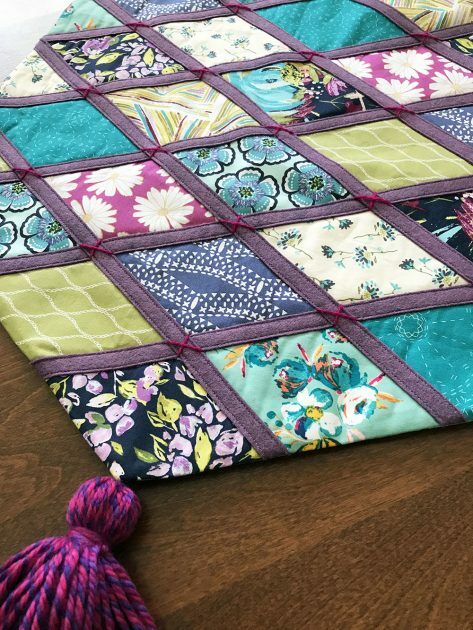 The patchwork technique is really fun and easy because it utilizes fusible interfacing as a foundation. The the felt strips are topstitched over the raw edges of the fabric, so there is no conventional piecing involved. Plus you have the added bonus of the felt adding dimension and texture to the piece! And yarn, let’s not forget we get to play with yarn as well. As I was writing the pattern I decided to make up a second version using more Bari J fabric and some yummy heathery purple felt. 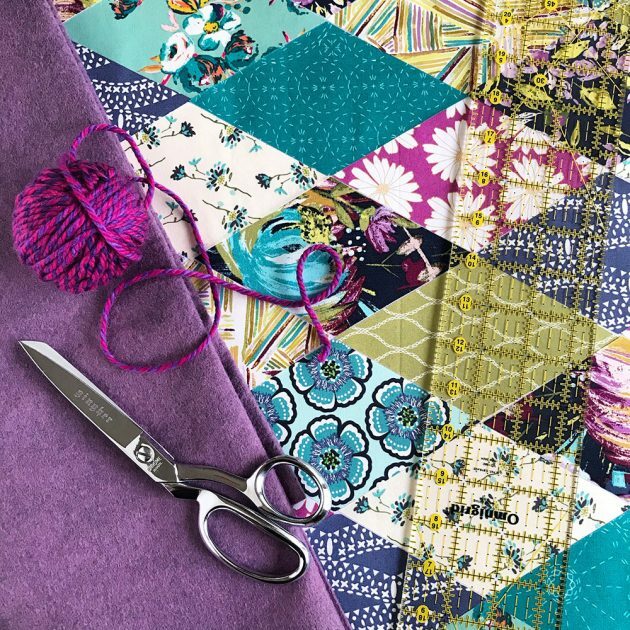 I love playing with different felt and fabric combinations and finding just the perfect accompaniment. And a really fun twisty yarn for the big tassel at the point! Are you inspired to make your own? What fabrics would you use? 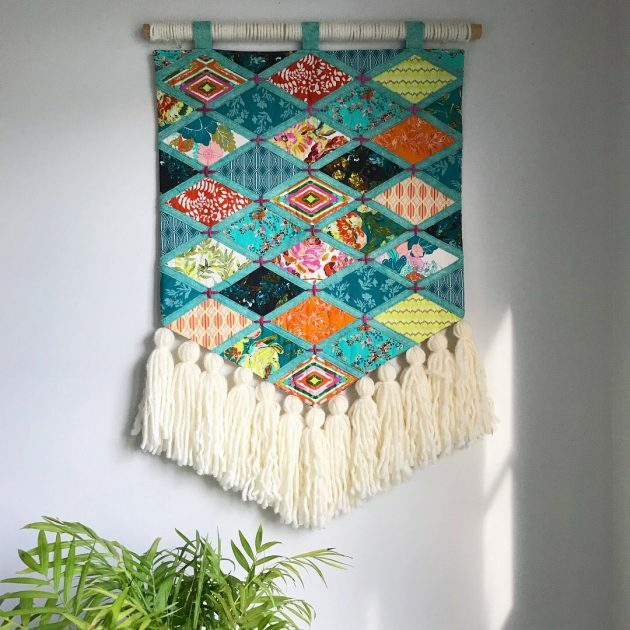 The Boho Patchwork Wall Hanging PDF pattern is listed in my shop and I am here to answer any questions you may have along the way!